I love inspiring success stories. Multiple failed attempts at weight loss. Mental baggage and challenges to overcome. 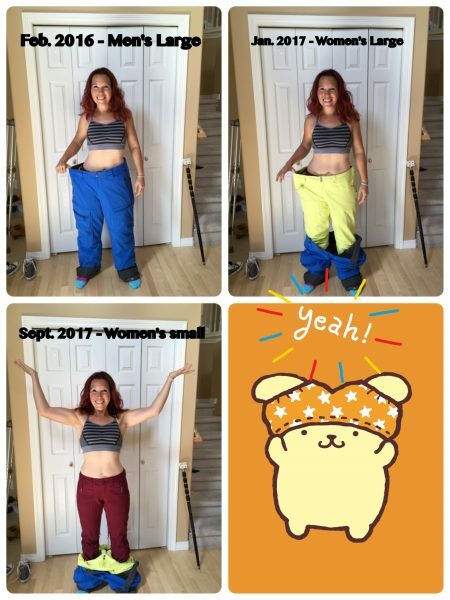 Christina, a years-long member of the Nerd Fitness community, is somebody who has gained and lost the same weight more times than she can count. She grew up with negative self-talk, chased lose-weight-quick strategies, and struggled to love herself through the ups and downs. 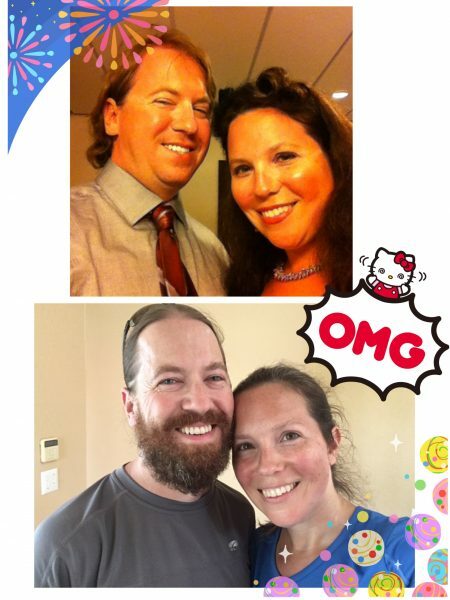 After her husband stumbled across Nerd Fitness (smart fella), he told her to consider joining our community, and I’m so thankful she did! Two years ago, we launched a beta version of our super fun 1-on-1 Online Coaching Program, and Christina was one of our guinea pigs that signed up! In those two years, she has transformed inside and out, and I’m so excited to share her story today. In these two years, she has had this great level of success without access to a gym without crazy dietary restrictions or calorie starvation, and finally loves herself in the way she deserves to be loved! Although I’m very proud of the fact that Christina has invested in herself through coaching program month after month, I know you’ll learn a lot from her story. At the end, I’ll share with you EXACTLY how to make your changes today. No more negative self-talk, no more reliance on motivation or willpower, but a focus on systems and progress and accountability! Steve: Hey Christina! Can you take us through a typical day before you decided to level up your life? Wake up, drink coffee, eat some string cheese, check emails, eat more cheese, drink more coffee, check more emails, watch a show or two on streaming media, check more emails, eat more cheese, switch to Diet Coke, grab some Taco Bell, tutor kids for a few hours, grab a beer or two with friends, eat pizza or some kind of horrible take-out, watch more TV until midnight or so, then head to sleep. Steve: Taco Bell, pizza, beers, cheese on cheese on cheese, tons of take-out…sounds like a typical diet for many people struggling to lose weight. Was there a specific moment when you decided to make a change? My blood pressure was kind of high. My cholesterol was creeping up. I struggled with being out of breath with the simplest of tasks. Oh, and learning to snowboard was nearly impossible. There were days we’d drive the two hours to the mountains, I’d go down the bunny hill once, and be done for the day – I didn’t have the physical or mental stamina to try again. I’d then sit in the lodge and drown my sorrows in chocolate brownies while my husband would go down the blue and black runs by himself. Steve: Blah, yeah that’s no fun. So, you eventually decided that “enough is enough,” and ended up on Nerd Fitness! Was this the first time you had ever tried getting in shape? 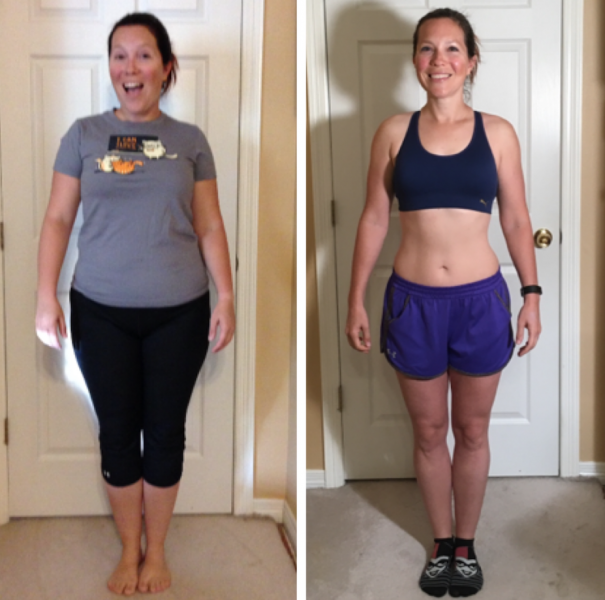 #2 The single teacher income diet – I lost 50 lbs in six months only to gain it back when I could afford food again. 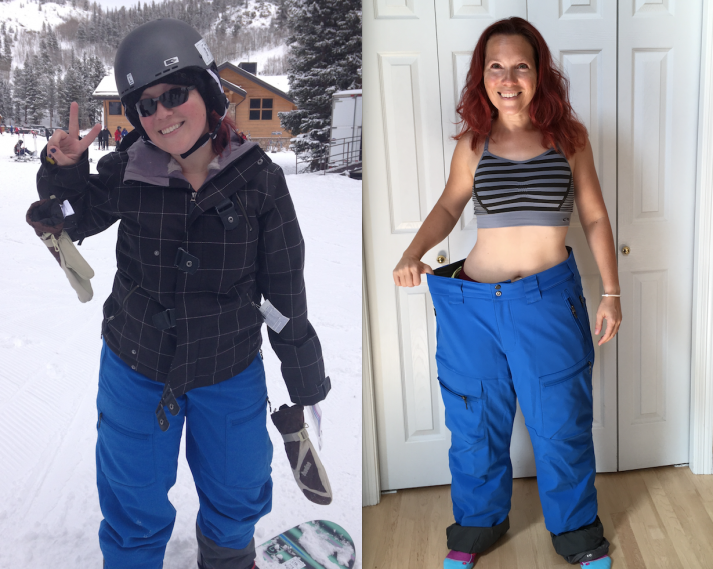 #3 Weight Watchers – I was used to body shaming from my mom, I figured, “Why not let strangers do it too?” Turns out this was less than ideal for my self esteem. I know WW works for some, but my particular experience wasn’t great. #4 Various exercise VHS tapes from the 80s and 90s – My faves included Tony Little and It Figures with Charlene Prickett, because nothing motivates you like a built dude with a ponytail, or 80s leotards coupled with bad music! #5 Beachbody shakes – I found the shakes to be excellent when mixed with a half pot of coffee, two tbsp of peanut butter, and a cup of half and half. No idea why I didn’t lose weight, hahaha. #6 Cutting calories without tracking or learning – For some reason, I believed that even though I had no idea how much I was eating regularly, I could guess my way through calorie restriction. This did not work. Steve: Thanks for sharing your struggles honestly with me (and now the world!). I’m curious: what made you decide to take the plunge and jump on board with Nerd Fitness and our coaching program? Christina: Prior to NF Coaching, I mentioned to my husband I needed help. After all of my failed attempts above, I knew I couldn’t do this on my own and wanted guidance. I live in Colorado, land of the uber-fit, but I felt like none of the options available really meshed what I needed. I didn’t enjoy exercise and just couldn’t relate to fitness junkies. The NF Coaching announcement came at a perfect time, and I was really pleased to see that the program wasn’t just personalized workouts, but also that my coach Jim would help me with my nutrition and mindset. And you saw how I used to eat – I definitely needed help in that area! Christina: I told Jim about the equipment I had available (or lack thereof) and my goals, and my schedule, so he built a program that fit into that exact situation. We did a lot of body weight to start with, no gym for me! Steve: Let’s talk nutrition: What’s been your nutritional strategy? Christina: Definitely more of an “if it fits your macros” (IIFYM) type of deal – I try to shoot for 130g of protein and under 80g for carbs and fat. I married an Italian who loves to cook; we quickly realized totally cutting pasta out of our lives wasn’t going to work. So Jim helped me to be smarter about everything. We time our big Italian meals on days we do a lot of physical activity, instead of every day which was always my problem in the past. I also had to cut back my cheese addiction, which was super sad. It’s amazing how consuming 500+ calories of cheese a day can impact your diet. Again, who knew? Steve: Yes! I too follow a “mental model” macros-type diet. What’s a typical day like for you NOW, after the changes? Up between 5AM and 6AM, drink one cup of coffee with turmeric, cinnamon, and pepper, eat a small breakfast (normally an egg and some protein with one slice of really skinny bread). I then do more work, tutor in the afternoon, sometimes volunteer at a feral cat colony, and then dinner (protein and veggies), relax, and bed. Steve: What is your internal self talk like compared to 2 years ago? Christina: There’s a lot less internal arguing about exercise or eating. I then realized that this self-talk was unproductive, and through conversations with Jim, my husband, and myself, I changed my attitude about the whole thing. I realized that exercise is something I’m lucky to be able to do. It’s something that feels good and makes me feel good. My husband knows when I haven’t exercised yet for the day because my mood is lousy! Thanks to these two years, I can now snowboard, I can hike, I can walk through downtown Boulder without open-mouth breathing. I can do things I want to do, even if they’re hard, without beating myself up. Just last month, we hiked up Mt. Sanitas in the rain, soaked to the bone! This would have never happened before. 3.1 miles, 1300 feet of elevation gain, and *wet* – but I did it! Steve: What was the toughest or most important change you made? Steve: Talk to me about your progress along the way. How have you measured your progress and what has helped? Christina: I log all of my food daily and love the structure and awareness it brings to my life. A bite or two of something is not going to ruin my day, but if I eat the whole thing, I know I’ll feel sick to my stomach and be useless the rest of the day. As for tracking progress, I actually weigh myself daily. Weighing in used to be a source of shame; now it’s just a data point, and I can see how what I ate the day before affects me (I’m looking at you, salt). I also take progress photos, track my body fat percentage, and track other measurements too. Steve: Okay, so be honest: was NF Coaching worth the investment for you? Why stay 2 years even after having success early on? Christina: Simple. I’ve lost weight in the past, and I knew that it would just come right back if I didn’t really change my ways. In working with Jim, I lost 40 pounds fairly quickly once the diet changed and exercise was done on a fairly regular basis. However, it was really important to me that the changes stuck. Jim knows exactly how to push things and how to tweak behaviors in order to get results. He’s had great ideas around food, and his experience with a wide variety of people has given him some great insight into how people work. Steve: LOVE IT. And you are working with the best coach ever when it comes to handstands – Jim wrote our Beginner’s Guide to Handstands, led our Handstand Course, AND has helped other clients get their first handstands too. Steve: Do you have any nerdy passions or pursuits? 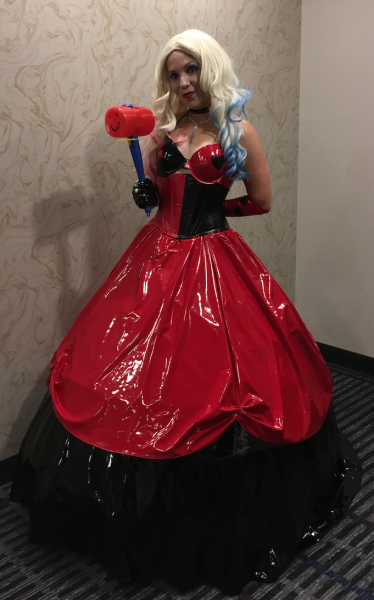 Christina: I cosplay, play the Dresden Files tabletop rpg with a group of friends across three time zones, read a lot of comic books, and play video games in a casual way. Steve: Nerd credentials check out – you’re in the right place! I want to ask you one final question: There are TONS of Nerd Fitness readers right now who are at your “Day 1” (or heavier). Do you have any words of advice for those folks? Christina: Change is so personal. You need to look within yourself and ask if you’re happy with where you are physically, mentally, and emotionally. Then you have to ask yourself if you’re okay with the way your life is currently “hard,” and if you’re willing to try a different kind of “hard” in order to get some different results. My “hard” before was heavy breathing, the possibility of medication for various health issues, clothing not fitting correctly, feeling embarrassed going out in public, and not being able to participate in activities with my husband. Now my “hard” is more saying no to free food because I KNOW it’s not really free, trying to get in one more rep with a little more weight, and coming to grips with what my body and can’t do, despite how much I exercise. Steve: Thanks so much for sharing Christina! Jim shares your updates with our team and I feel like a proud parent (that’s not weird, right? cool) watching you continue to transform every month! When we meet in person we can practice our handstands! I’ll make sure to bring Jim too. Weight Watchers, Beachbody, calorie restriction, negative self talk, dieting…Christina tried it all. Most people struggle with weight loss and assume that they’re broken. Christina eventually realized that she just hadn’t found the path that worked for her yet. 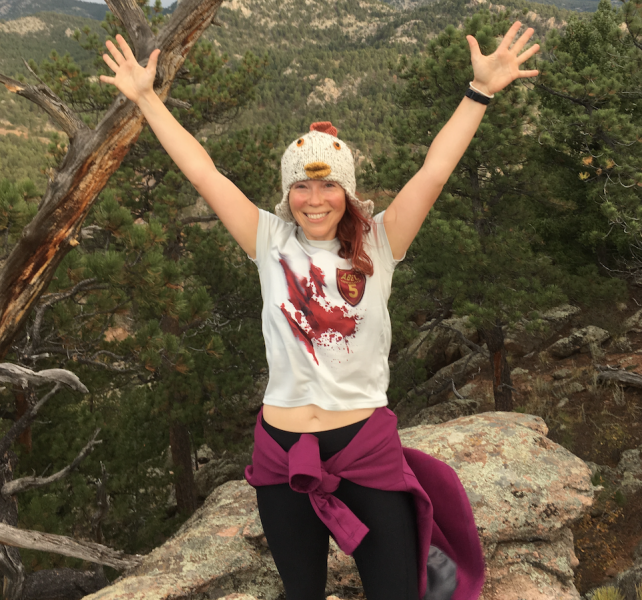 When she started working with us at Nerd Fitness, she went the route that sounded the most exciting to her: hiking with her husband, snowboarding, bodyweight training, and no gym membership. There’s no ONE way to get in shape, and Christina found the perfect plan for her – the one she would actually STICK with. She had tried to get in shape before. Many times. Most people blindly chase the next fad or making half-hearted attempts to get in shape. They also give up at the first sign of adversity and can’t get any changes to stick. Even worse? Sticking with a “healthy” plan for months only to discover that it doesn’t actually generate results (I see you low fat food, starvation, running endlessly on a treadmill). Christina recognized that years of these strategies hadn’t resulted in permanent progress, so a different approach was needed. She knew she couldn’t do this alone, so she hired a coach who knows her better than she knows herself. Through her ups and downs, highs and lows, successes and struggles, her coach is there to set the right pace for her at that point in her life. When life changes, so does her workout and nutrition programming. Certain things are worth investing in, and Christina decided that she was worth it. Along the way, Christina struggled: this getting in shape stuff isn’t easy! One missed workout becomes two, which becomes six months off in the blink of an eye. But she relied on her husband, her coach, and her knowledge that her coach had set her up to succeed, and all she had to do was stick to the plan. 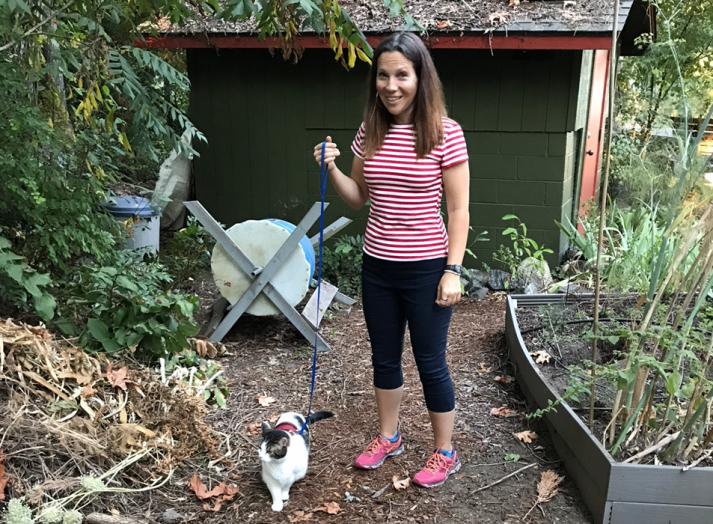 Even after Christina managed to successfully build powerful habits and momentum, she was diagnosed with some serious health challenges: severe osteoarthritis in her left hip and moderate to severe osteoarthritis in her right hip. Christina went the other way. 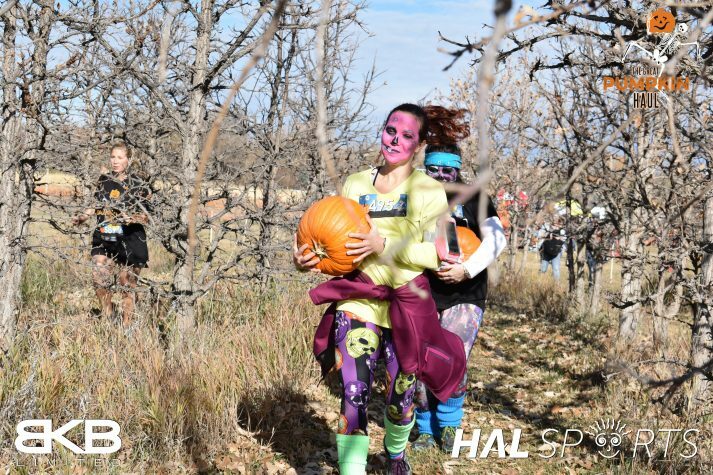 While her diagnosis has put a damper on running, lunges, and squats, she worked with a physical therapist, doctor, and her coach to come up with other options to keep her physically active. Because of her attitude change, Christina was able to turn these mountains into molehills and step over them. And now she’s focused on climbing ACTUAL mountains. Why do we beat ourselves up when we run out of willpower? Why do we get mad at ourselves for not being “motivated enough”? Why do we rely on hope and wishful thinking when it comes to getting healthy? Because we think successful people have more of this stuff than we do, and that’s why they’ve lost weight. We then lament the fact that we’re not like them and thus are doomed. They have somebody they can be accountable to. They study past failures and change their approach. They get started and course correct along the way. They structure their environment and day so that willpower isn’t needed. This is exactly what Christina did. She stopped expecting things to be different and took the future into her own hands. She knew she couldn’t do this alone, so she enlisted help, she got her husband’s support, and she GOT TO WORK. Here’s my opinion as to why Christina succeeded: She started tracking her food daily. She could then share this food log with her coach who could make small changes and suggestions that didn’t overwhelm her. Christina also weighed herself daily, not due to OCD neurosis, but instead as a scientist collecting data points and adjusting her progress! She’s now educated with how many calories she can eat each day, the makeup of everything she eats, and she can make much more educated and informed decisions guilt free with each meal. By tracking her food and her macros and analyzing her relationship with food, she can still eat home-cooked Italian food regularly without screwing up her nutrition goals. She MAKES through timing and tracking rather than hoping it works out. In addition to these successes, through tracking she was able to discover two areas that were holding her back: she quit drinking and cut back significantly on high calorie cheese consumption. These changes might not have happened had she not been tracking so diligently! Her journey began with a weight loss goal: “I want to lose weight and feel better about myself.” And she lost 40 pounds very quickly on her journey. She and Jim consistently updated her goals and missions so she always had a new target. She wants to climb a mountain. She wants to do a handstand and a muscle-up. And every day her workouts and her nutrition are set up in a way for her to get closer to those goals! And if she ever reaches these goals? Perfect. She’ll get new ones! How will Your Next Attempt Be Different? Be like Christina! Keep at it. 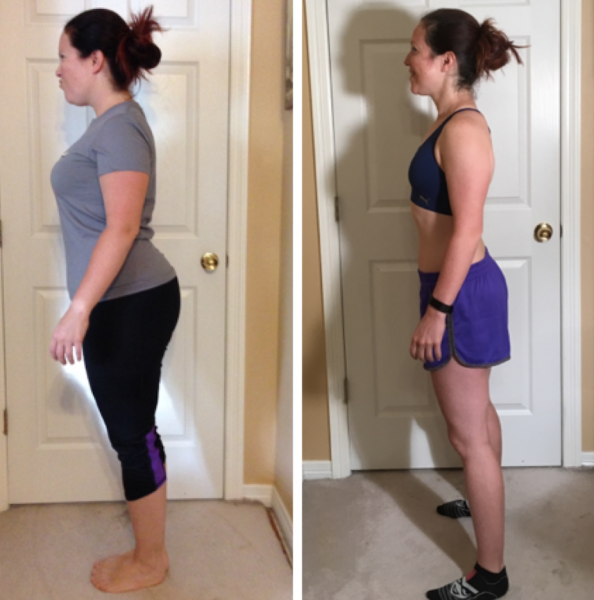 Christina didn’t find lasting success with Weight Watchers, Beachbody, or calorie restriction. Although those programs work for some people, they didn’t work for her. Nerd Fitness spoke her language, so she followed the process. Track the problem, crack the problem. The most successful people that have lost weight and kept it off all track their progress and adherence in some way. Start by writing down what you eat for the next few days, calculate the calories, and educate yourself! See how your photos change, and make adjustments based on your data. Hope + action = win. Invest in yourself, get help where you can. A lot of people think hiring a coach is a sign of weakness. Christina realized this is the wrong attitude, and has used her coach to change her life. Invest your time or your money into taking this fitness stuff seriously and get help or get educated. It’s your life we’re talking about here! Always have another dragon to slay. Christina completely changed from “I want to lose some weight” to “What am I capable of? I want to do a handstand and climb a freakin mountain!” This is the key to sustained weight loss. Train in the way that works for you. Christina does bodyweight exercises, hikes, and goes snowboarding with her husband. There’s no gym in sight! There are a million ways to get in shape, so pick the ones that fit your goals and make you happy! This should get you started, regardless of whether or not you join any of the programs at Nerd Fitness! You can start bodyweight training TODAY. You can adjust your nutrition TODAY. You can start to build your guild TODAY. Now, if you’re somebody like Christina and seek 1-on-1 guidance and instruction, I’d love for you to check out our 1-on-1 NF Online Coaching Program and chat with us about it. I want success for you the way that Christina found it – through healthier eating, a healthier mindset, and a complete overhaul of her attitude! So why not start today? If you enjoy the journey, it makes the struggle worth it. If you have questions for me or Christina, let us know in the comments! Team NF is here to help you! PS: If coaching isn’t your thing, we also have a powerful online course that is self-paced and has helped 50,000 rebels level up their lives. The NF Academy has a 1-time payment, 7 levels of workouts, 10 levels of nutrition, boss battles, quests, and the most supportive community on the internet.